There’s just something about waking up to a clean house that sets the tone for the day and makes me want to be more productive! But even though I love that feeling, this is real life, and sometimes things fall through the cracks. 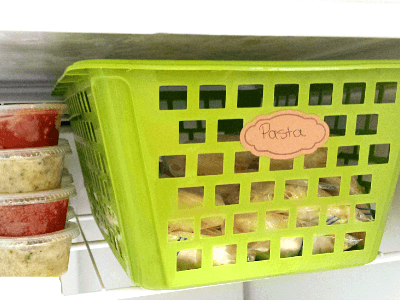 As with most things, having a plan and breaking things down into small chunks makes things seem more manageable. If I see a little ten minute task on there, I’m way more likely to follow through because I can easily knock it out. 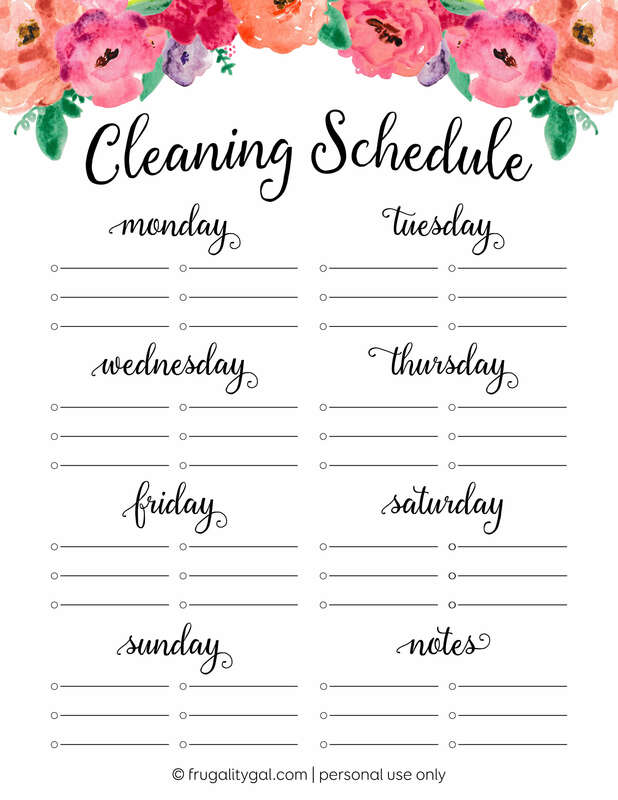 So I put together this cleaning schedule printable in case you’re like me too! This is purposely blank because everyone’s life is so different and what’s realistic for you may not be for another person. 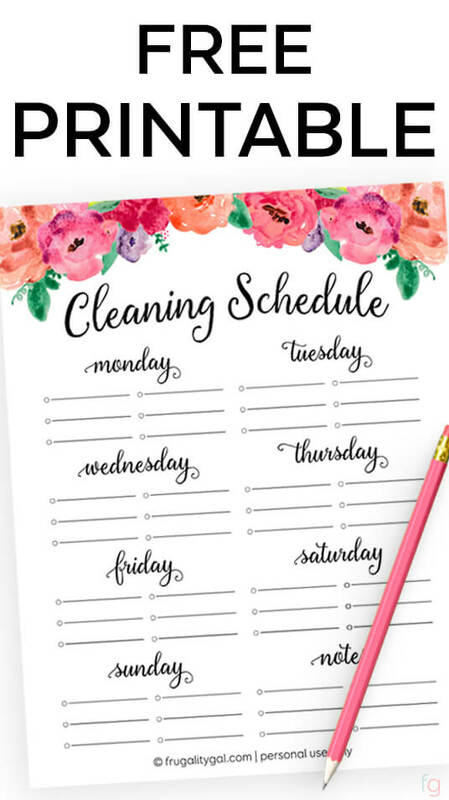 BUT I can create a pre-filled cleaning schedule if enough people want it, so let me know if you do! 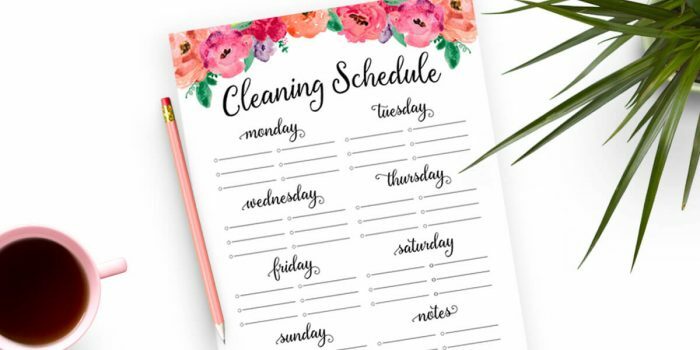 If you plan on using this printable cleaning schedule weekly, I recommend printing on card stock and laminating so you only have to print once! This is great, we have a weekly ‘block job’ list (keep to terminology my soldier understands) but it isn’t this pretty!!! 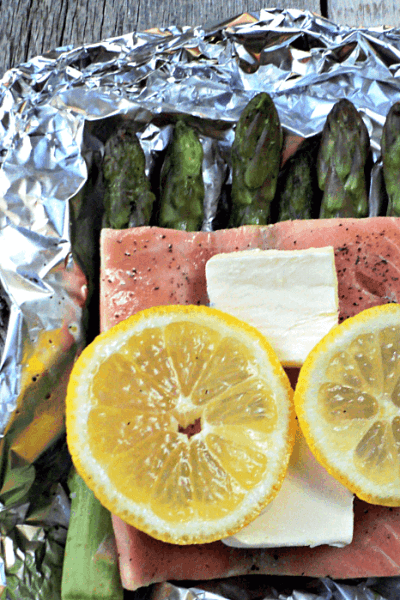 Does save our marriage though!